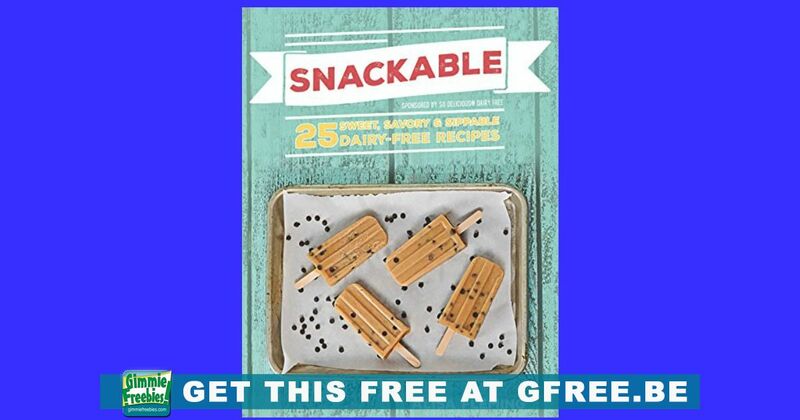 Grab this great free Cookbook – Snackable: 25 Sweet, Savory, and Sippable Dairy-Free Recipes while its available for free on Amazon! This book has some yummy recipes for you to try, and best of all, they are healthy!! Can you ever have too many healthy, fun and flavorful snack ideas? Snackable is a delicious compilation of original recipes that appeal to adults and kids alike. Sample recipes include: Everyone Loves Oatmeal Breakfast Cookies, Chocolate Chip Cookie Dough Pops, Trail Mix Truffles, Cuppa-ccino Muffin for One, Spicy Vegetable Ranch Salad, Thai Quinoa Bites, Crispy Creamy Cheesy Polenta Fries, Chips & Queso, Bananas Foster Shake, and Nourishing Spiced Mylk. You can read Free Kindle books on any device! Click the link above to get your free book. And, you can read it anywhere. You don’t even need a Kindle! You can get the FREE Kindle e-reader software (click here) for every major device and computer available.